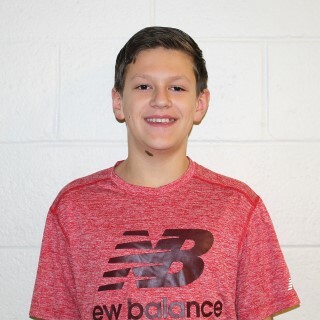 Jacob Anderson, a student at Jordan-Small Middle School, is The Windham Eagle’s Student of the Week. Anderson states that his favorite subject in school is Math. “Jacob is always quiet and thoughtful. Kind to peers, open mindset and willing to try new things,” is what Anderson’s teacher stated about him and is one of the reasons why he was chosen for student of the week. “He has a positive attitude and participates with a smile. Jacob also makes an effort to improve his work, if needed. He’s a thoughtful hard worker who isn’t afraid to try new things and help his peers when he can. Jacob has a lot of knowledge about technology. He has strong opinions about student life and reflects honestly on projects he completes in class." During his free time, Anderson enjoys biking and other outdoor activities as well as building things.